Are you looking for Solera Chandler Arizona homes for sale? This community is a Dell Webb Active Adult Retirement resort that is conveniently located in the Chandler Southeast Valley of the Phoenix metroplex. 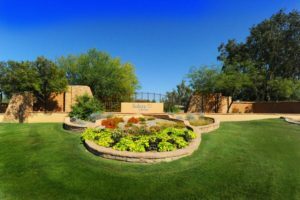 Solera is a gated 55+ community located in Chandler off of Riggs between Gilbert and Lindsay Roads. A small but resort packed community, Solera offers 1,149 homes. Small enough to know your neighbors but large enough to experience the active adult lifestyle you are seeking. Conveniently located near the San Tan foothill mountains, views are spectacular. People from all over the United States and Canada live and play in Solera as snowbirds. But, many call Solera home year round and you will find plenty of things to do not matter what time of year it is. And, ideal for outdoor living and enjoying the stunning Arizona sunsets. One of the best kept secrets of living in Solera Chandler Arizona is access to the countless theaters, casinos, museums, shopping, restaurants and golf courses. Large shopping malls like The Chandler Fashion Center Mall and San Tan Shopping Village are minutes away. Do you like to hike? Arizona is full of hiking trails that will offer stunning vistas and views of Arizona wildlife. People love living in Solera Chandler Arizona for many reasons. But, one of the best is the active adult lifestyle. The clubhouse includes a state-of-the-art fitness center, two outdoor pools, and hobby studios. A large ballroom is great for concerts and community activities. Learn new skills in the computer lab or relax and read in the library. Solera offers tennis courts, bocce ball and miles of walking and biking trails within the community. 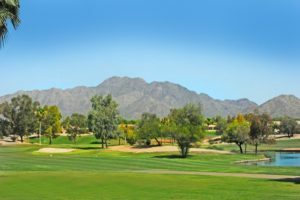 And, if you enjoy golf, the 18-hole Lone Tree golf course designed by Darryl Wilson offers lush manicured greens, beautiful fairways and a challenging game amidst the San Tan mountains. Lone Tree offers a practice facility, pro shop and The Grille at Lone Tree restaurant. Inventory remains low, but there are some homes for sale in Solera. Click here to see what is available. Sign up for new listing alerts so that you know the moment a home comes on the market in Solera. Call Solera real estate experts The Kolb Team at 480-440-0849 or contact us online.